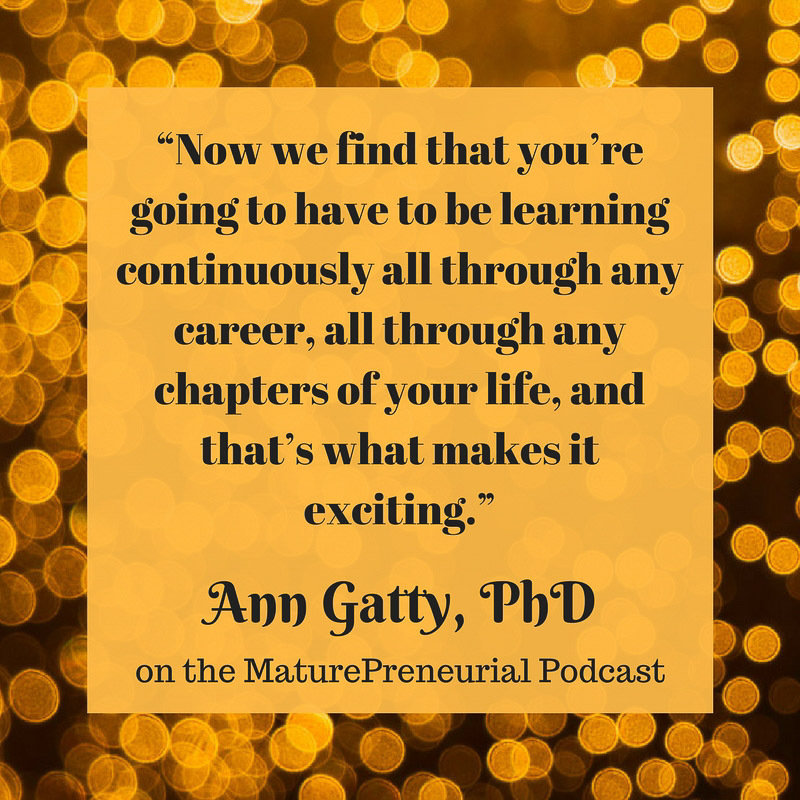 Dr. Ann Gatty is a former teacher who found her greatest success after she left academia to enter the business world and help others achieve their dreams. 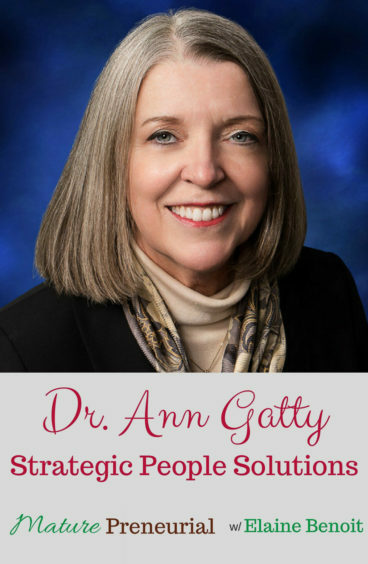 Dr. Ann Gatty is a career learning specialist. Dr. Gatty can talk academics very well and spout the names of famous learning theorists with ease. She can recite learning taxonomies. She can explain the nuances of how humans learn. She has written hundreds of lesson plans. She has taught in classrooms ranging from kindergarten through the university master’s level. 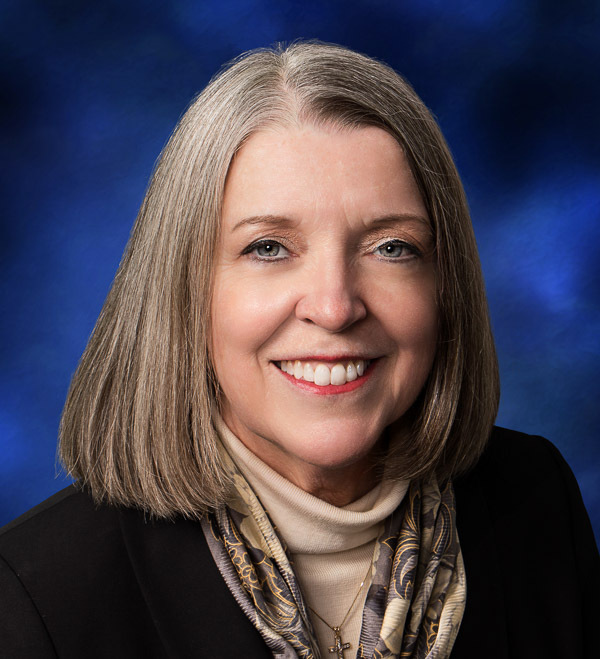 While academia has its place in the world of education, Dr. Gatty found that it didn’t provide her with opportunities to help people achieve the real-life results they desired. Even her last position offer at a Pittsburgh university – as a professor in the master’s level leadership program with an applied component – struck her as artificial. Dr. Gatty’s teaching experience started with the Colonial Williamsburg Foundation. There she developed lessons that were taught in and among the buildings of a restored, historic eighteenth century town. She taught history completely without textbooks and found the results rewarding. For fourteen years Dr. Gatty developed museum education programs for historic sites. During that time she became convinced that experiential learning was the way to achieve the most lasting, transformational results. That’s when she left academia. She’s been working with business leaders, in their company environments, ever since. When you were back in the history museums, were you one of the people who walked around and told people what they were seeing? What is that word you are using, ‘docent’? You touched upon this before, but could you tell me what your business is and the name of it? When you left the education field, what made you want to go into your current business? And did you automatically say to yourself that you would go into the business with your husband? Did you both come up with this idea together? Do you work in the same office together? What was the most successful idea that you implemented for your business? Is this just available for your clients? Can you give me an example of something that wasn’t successful for your business? How are you reaching out to these entrepreneurs? Can you give me another example of something that didn’t quite work out in your business but you changed tactics to fix it? You started this business with your husband and you were already doing some consulting, were you scared about it? Would you say that the advice you got was learn something new everyday? You work with people in your area as well as online, correct?